Do you feel like you are losing the fight on keeping your space organized? Do you find yourself running out the door more than a few times as you keep forgetting items or worse, can’t find them? Do you need multiple bags for your children? (diaper, school, daycare, swimming, skating etc?) Where should you keep them? How can you remember to replenish them? change for the locker or lock. Unless your Sundays are jam packed I find that this day generally works best for decluttering and replenishing your bags. Take 5-10 min to go through them all and see what needs to be taken out/put back in. Perhaps you forgot about the dirty clothes in the plastic bag or the school forms which need to be handed in. 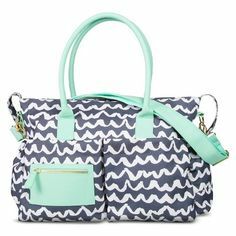 Keep your diaper bag list in your notebook to refer back to and so either you or your spouse can easily see what is missing. 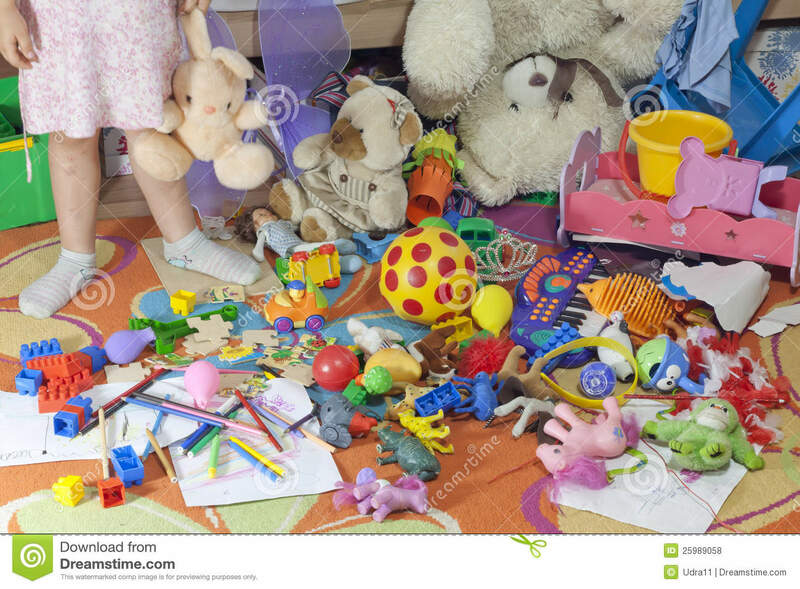 Please note that these suggestions are for those families who have a separate space (playroom, family room, rec room) for their kid’s stuff. Children’s rooms should be used for sleeping, getting dressed, comfort (safe place when they need down time) and reading. As such, a basket or shelf with books that can be interchanged with the books found in the main area of the house is a great idea. Once they (or you, as face it, I’m sure you all have books that you would be happy to lose) are tired of these books, then rotate or donate. 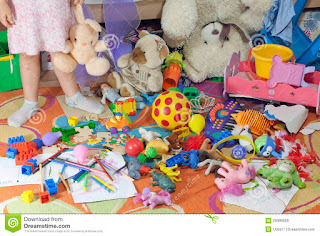 I always recommend keeping plastic toys out of the bedroom. They either end up being stepped on or lied on and neither one of those is a pleasant feeling. They are also a distraction unless it is a shelf display such as Lego creations or fairies which have a specific home. 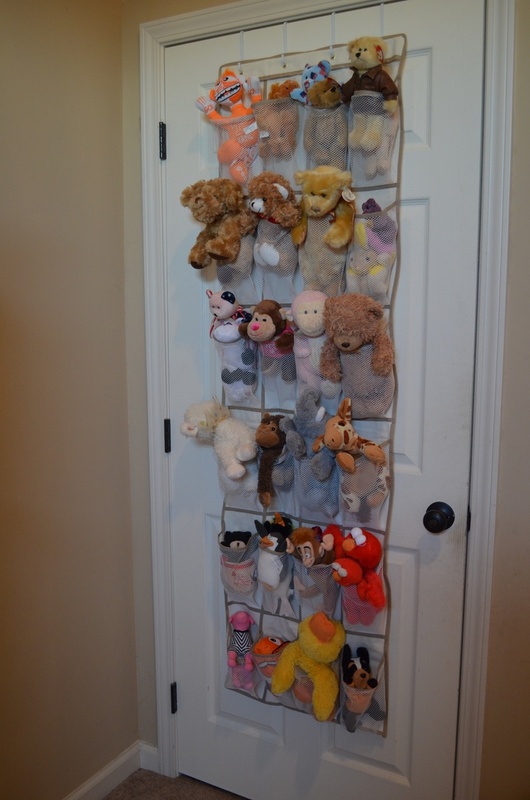 Stuffed animals are wonderful for children but there is such a thing as too many. Also, if your child suffers from allergies make sure they are regularly aired out or washed -the stuffies, not your children :). One great way to store small animals is by using a shoe organizer on the back of a door. You could use a basket for storing the larger ones and keep them limited to what can fit in the basket. 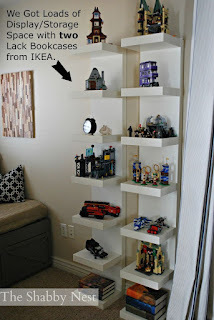 Closets, when used properly can hold a whole lot of items. Using a double hanging rack with a top shelf and perhaps shelving up one side is the ideal space. The shelves can hold baskets to store underwear, socks, bathing suits, shoes etc… The bottom rack can be for clothes that you want your child to easily reach (his/her favourites) The top rack could be for clothes out of season or too large or for special occasions. The top shelf of the closet is a great place to store their memory box or special collections they don’t play with a lot but want to keep (rocks, rainbow loom, seashells etc..). 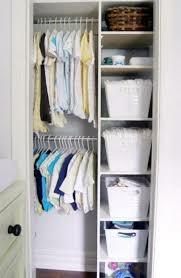 It is a good idea to keep a large clear bag in the bottom of the closet of clothes that you would like to donate. If you are having more children then keeping a tote in the bottom and adding clothes that no longer fit but are still in great condition is beneficial. Once the tote is filled, then label it with the sizes you have put in (and what age your child wore them as children come in many different sizes -my girls were both born and needed 3-6 month clothing). 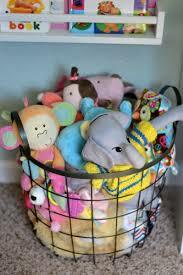 Laundry baskets and garbage cans are also very useful in kids bedrooms. There are thousands of images of perfect kids bedrooms and closets and diaper bags but I tried to find ones to get my point across. Pinterest is great for inspirational ideas. Just remember that kids do not need the moon and the stars and giving them too much can actually stifle their ability to make believe and play on their own. Let them have a room that has space to move, a place to cuddle and read and to call their own.